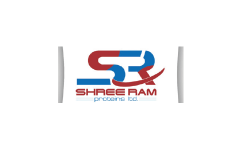 Business description - Shree Ram Proteins is engaged in the business of de-linting and de-hulling of cotton seeds by mechanical process, oil extraction from cotton seeds and solvent extraction from cotton seeds oil cake and ground nuts. The company’s manufacturing process is in three stages (I) De-linting and de-hulling of Cotton seeds, this process results in manufacture of shot fiber (linter), and De-linted cotton Seeds (II) Cotton seeds oil extraction process results in pre refine cotton seeds oil and cotton seeds oil cake and (III) Solvent extraction process, results in pre refine wash oil and de-oil cotton seeds cake. Cotton linter can be use in manufacturing of papers and as raw materials for manufacture of cellulose, this can be further process for medical and cosmetic purpose, linter can be broadly classified as a industrial raw materials. Cotton seeds oil cake, cotton seeds de oil cake and cotton hull are used as animal feeds. Cotton seed pre refine oil further process by refinery to convert in to edible oil. The company’s manufacturing facility is situated at Survey No.54 P, At- Bhunava, Rajkot- Gondal Highway, Dist. Rajkot. The Registered office of the Company is situated at Imperial Heights Tower- B, Second Floor, and office No. B- 206, 150ft Ring Road, Opposite Big Bazar, Rajkot-36005, Gujarat. Shree Ram Proteins IPO allotment status is now available on Link Intime's website. Click on this link to get allotment status. What do you thing other’s company IPO’s price band is correct ?? What they declare profit it will genuine ?? Mostly all multi bigger companies are making plant to prepare balance sheet before 05 years to attract investor….. you can see best example of SUZLON……..and check today’s market price….. Sometime small company give big benifit which we can’t ignore ….. This is purely Aoid. Not a good business and not good profits. Not even 1 crore profit but they want 20 crore from investors! !